Cosmetics, jewellery, flowers… buying presents for gal pals is super easy. Finding the perfect gift for the man in your life? Not so much. Trinkets, scatter cushions and new nail polish doesn’t seem to go down as well as it does with the girls, and when most blokes see something they like, they tend to just buy it for themselves then and there. 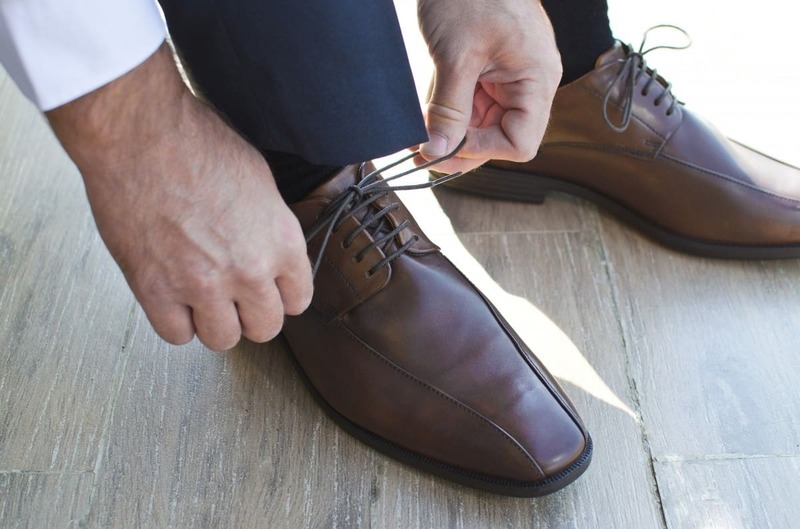 If you’re bored of giving your guy the same old socks-and-cufflinks combo, here are five less-conventional ways to show him you care. If he’s not one for gifts, remind your partner how important he is by arranging for a group celebration at a special venue. For the low-key guy, booking a big table at his favourite pub will do the trick, but if you’re after something more memorable, maybe look at reserving the VIP area at a swanky cocktail bar or hiring out a more upscale venue. Most cities have a few unusual spaces you can hire, so get your creative hat on and start searching. How much you spend is up to you, just remember to put some money behind the bar and make sure that catering is covered. Invite his nearest and dearest and be sure to make a fuss of him all night! Okay, I know we said that we’d be avoiding clichés, but it can’t be helped that the easy way to a man’s heart is through his stomach. Use this to your advantage and help him celebrate his big day by organising a custom cake that incorporates one of his biggest loves (other than you, of course). Instead of a bog-standard Victoria sponge, arrange a cake-based homage to his car obsession or a delicious replica of the Millennium Falcon. It’s a win-win-win. Your hubby gets to see that you at least acknowledge and tolerate his passions, it’s minimal effort on your part and you both get to enjoy a slice (or two) of excellent baking. My other half can’t be the only man with a shelf of items that are waiting to be repaired. Between shirts that need buttons sewing and blazers with holes in the pockets, it’s no wonder he seems to only wear half his wardrobe. If the chap in your life is just as bad as postponing errands like this, the best gift for him might be to get a couple of his favourite pieces mended. It’ll be like giving him a present that you already know he loves, without spending anywhere near the same cash on it! Key contenders for this include broken watches, boots that need re-heeling and jackets with busted zips. The secret about shopping for the man who has everything? Don’t buy him things! Treat him to a couple of tickets to a special experience instead. Maybe he’s desperate to see his favourite band play, or would go nuts for a season ticket to watch his team. Whether he loves theme parks or the theatre, surprising him with day or evening planned around an event that he would never bother booking for himself is an excellent way to treat him. This is another one of my favourite kinds of gifts, because the giver gets a treat too. You can either use the second ticket to enjoy the event yourself or, if it’s not really your cup of tea, arrange for a more enthusiastic buddy to go with him. You get to look super generous AND enjoy having the house to yourself for a few hours. What’s better than a gift that keeps on giving every week, fortnight or month? Subscription services are all the rage at the moment, and you can find packages tailored to suit just about every type of man. Foodies can chow down with the likes of Cure & Simple or Pong. Alcohol connoisseurs will enjoy a sip from Tipple Box or Beer52. Fashion fiends can get their fix with Form & Thread or Briefd. All you need to do is work out what your man could do with more of, then sign up to get a routine box delivered to his home or work. Most companies have experts that hand-pick products based on his preferences, meaning that he’s happy and you barely need to lift a finger. Stop thinking inside the (gift)box and surprise the special man in your life with an unusual yet thoughtful treat on his big day. Hopefully, you’ll do such a good job that he reciprocates for you! Men are the hardest to buy for in my opinion but there are some fab tips here thank you!